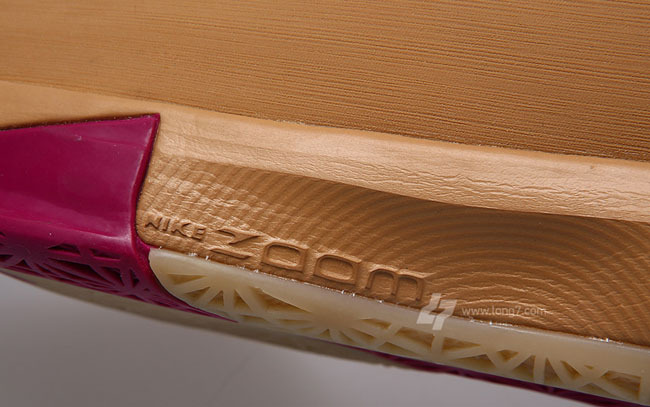 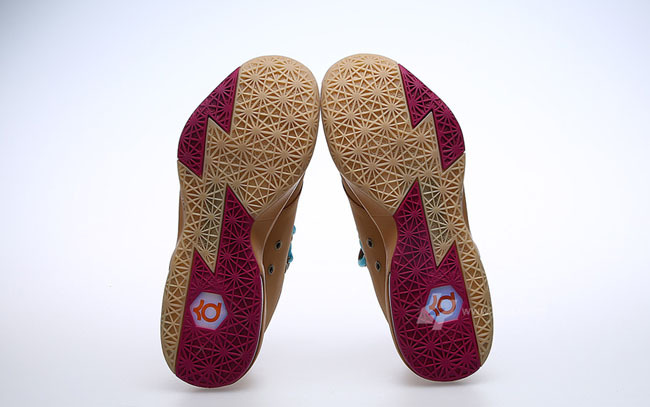 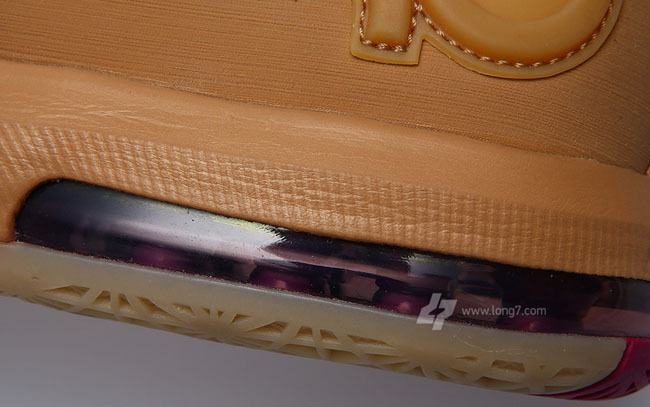 Check out the most detailed look yet at the 'Wheat' KD 6. 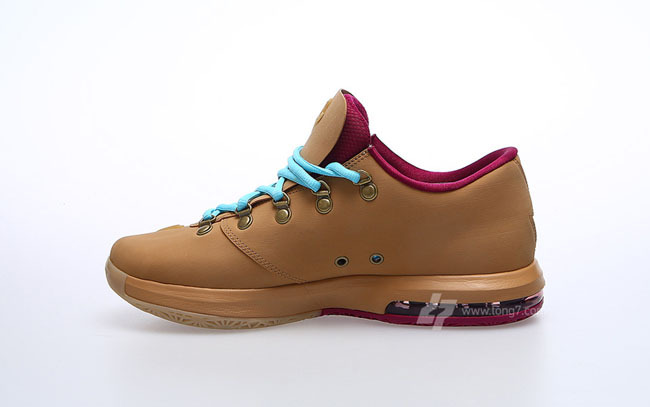 With Timbs being back like they never left, it's not a surprise to see "Wheat" colorways returning to sneakers. 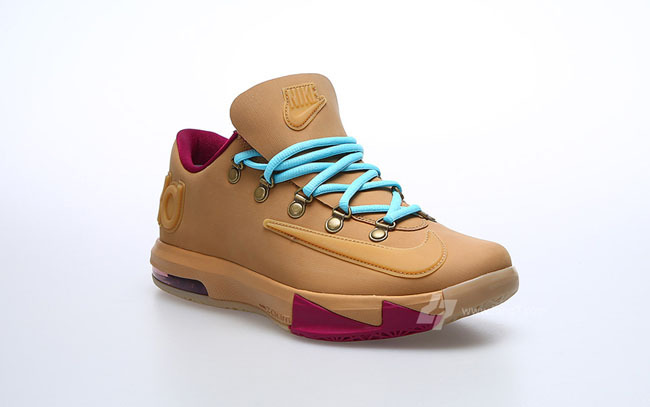 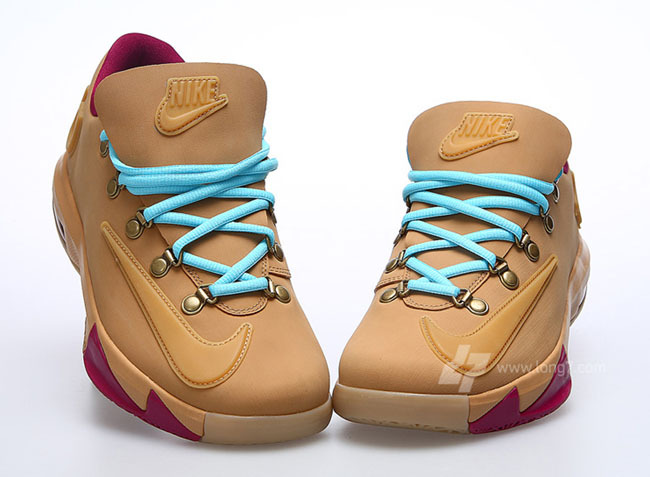 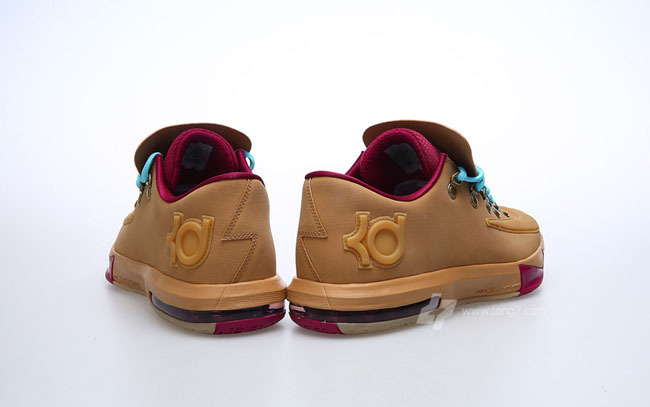 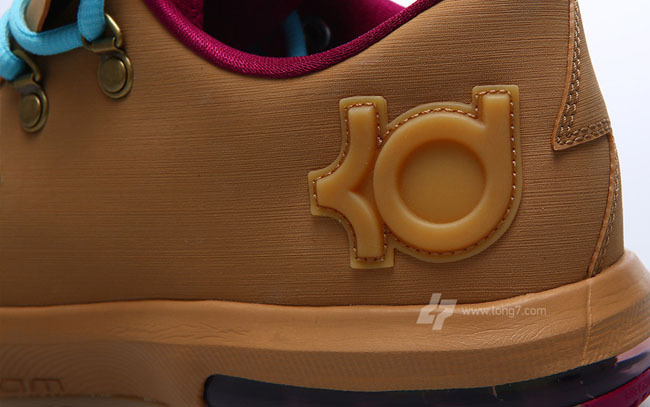 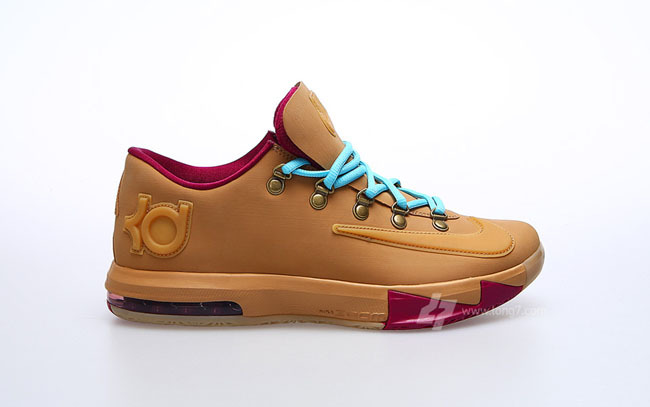 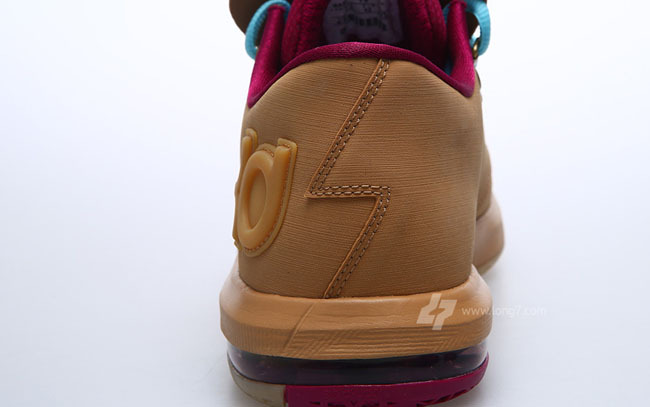 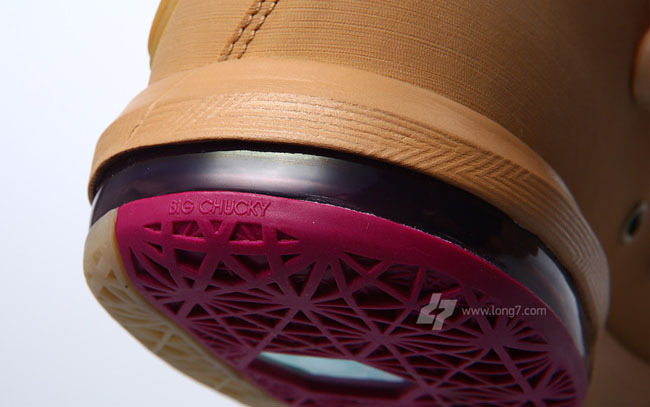 After getting a preview from KD, and even seeing them on his feet, we now have detailed images of the "Wheat" Nike KD 6. 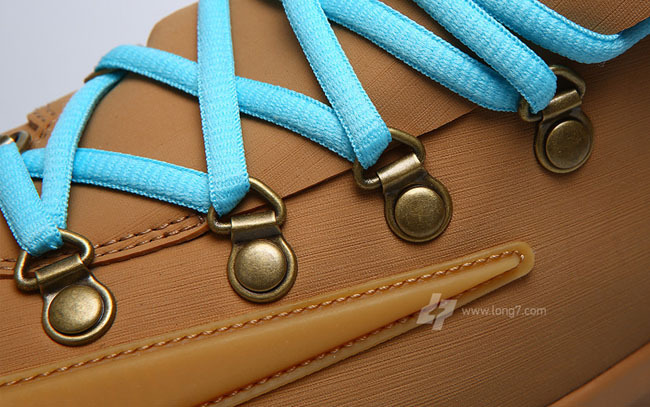 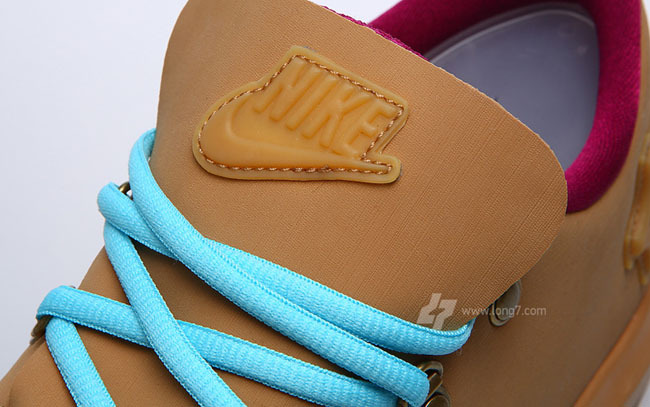 The shoe features a Wheat upper, with boot-style eyelets, and aqua and red trim. 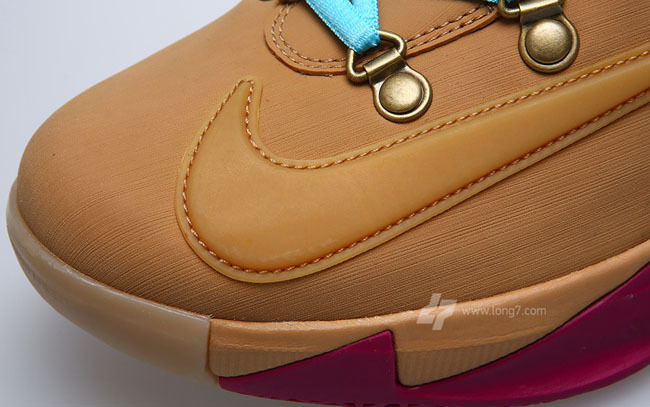 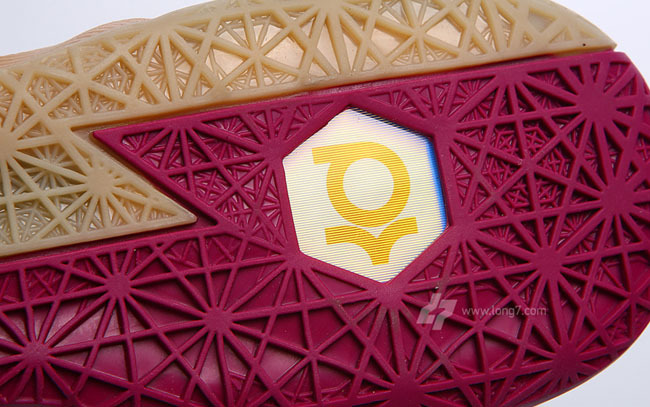 There are still no release details, so check back for more info as it becomes available. 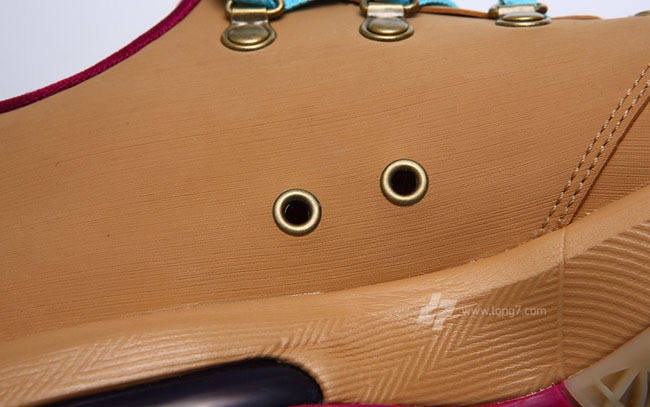 In the meantime, let us know what you think now that you've seen detailed images.